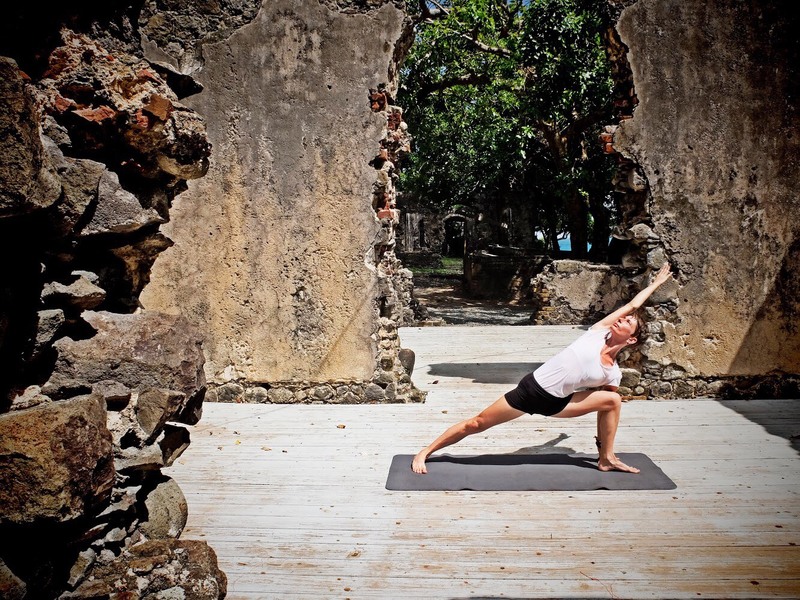 Island Effect sat down with Lenka Gargalovicova to talk about her yoga practice and the classes she offers at Yoga Saint Lucia in Rodney Bay and other beautiful island locations. Island Effect Lenka, many people don’t understand what Yoga is. I know in Saint Lucia, a predominantly conservative Christian country, I’ve come across a fear that practicing yoga would be against their religion. Tell us, what is yoga and what does it mean to you? Lenka Yoga is not a religion. Yoga texts state it is a universal, practical method to live a healthier, happier life. No matter of your religious background, yoga is there for you. Put simply, when you come to my Yoga classes you can expect to practice asanas – yogic postures, pranayama (breathing) and relaxation. We practice different types of poses, from standing to seated, back extensions, inversions and supported restorative poses. To me yoga is a precious gift, a tool to help me to live a healthier, harmonious and wholesome life. It’s a way of life, being a part of community, being of service. I believe in the transformational power of yoga and I find sharing my love for this practice with others very fulfilling. I want to share and help others to experience the benefits of this practice. Island Effect That sounds so interesting! I heard you mention ‘Restorative’ – tell us about that. It sounds like something many of us need, with our high-stress lives! Lenka Restorative yoga uses long, supported resting poses creating conditions for us to cultivate the skill of conscious relaxation, most importantly, to release habitual tension in the body and mind. It’s a little bit closer to a meditation practice than a movement practice. 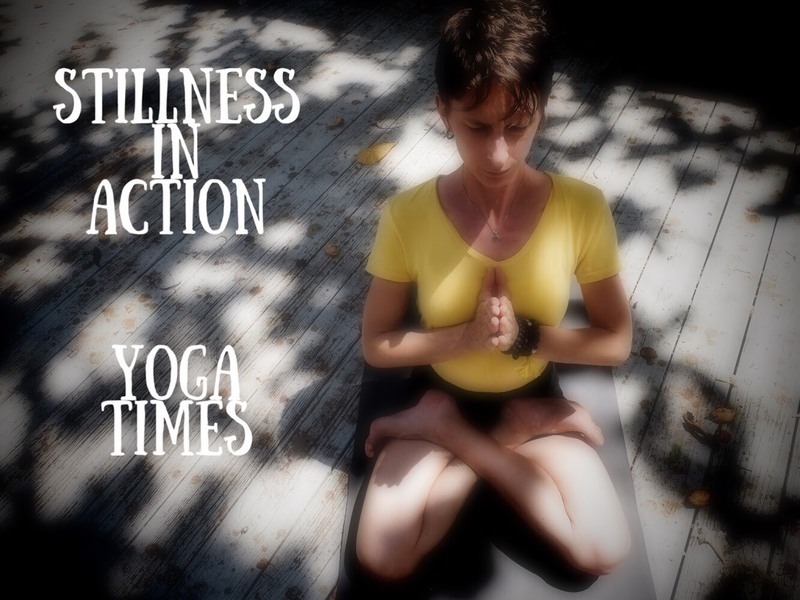 Often this practice is used while recovering from illness and as an antidote to fatigue. So yes, it helps to reduce stress we might accumulate dealing with everyday responsibilities. Island Effect So, aside from the benefits of the restorative yoga, what else can someone expect if they come to your yoga classes? Lenka Through the practice of yoga, the body becomes more supple, flexible and strong. Practice brings health, vitality and energy. The digestion improves, blood circulation gets better, we breath better, we feel more joyful and calm, so sleep comes easy. We keep the mind sharp and alert, so we perform our daily tasks with more enthusiasm and effectiveness. And what I love the most is that yoga makes people more humble. Island Effect Wow! That’s a lot of benefits that I’m sure most people would appreciate. Lenka Yes, I believe yoga gives so much benefit! Taking a yoga class is a journey towards inner happiness. Every class is an opportunity to take a break from our daily roles and duties, to give undivided attention to our physical, mental and emotional wellbeing. Island Effect That sounds wonderful. So Lenka, tell us about what people can expect when they come to Yoga St Lucia’s studio or take another yoga class with you. Lenka Some of my classes take place in the fully equipped yoga studio, providing all the necessary props – like blocks, chairs, blankets, straps, which ensure everybody’s needs are accommodated. We welcome everybody regardless of their age, injury, physical limitations or level of yoga experience. The Yoga St Lucia studio in Rodney Bay is a cosy, airconditioned room with lots natural light and a peaceful atmosphere. I carry props to other locations where I teach as well, to give everybody an opportunity to experience the freedom and support that props provide. Sometimes we practice outdoors or at a special location – a villa for instance and it’s important to still ensure comfort, stability and adaptability. Island Effect So if for instance, I have a tight neck or a leg injury, or maybe arthritis, the props help? And you’re saying you can adjust the poses if I can’t quite get into the position you’re teaching. Is that right? Lenka Yes, that’s it. The props are used to enable the person to experience the poses that might be otherwise unavailable to them. The props help to build stamina, improve stability, so you can hold poses for longer time safely. Island Effect There are different types or schools of yoga right? Do you teach a particular style? Lenka I teach Iyengar style of yoga known for its therapeutic benefits. The focus is on precision of movements and development of mental clarity. Island Effect How long have you practiced and taught yoga? Lenka I have been interested in yoga philosophy for the past 20 years. While living in England in 2006 I got my first opportunity to experience a yoga class and I have been hooked ever since. I started teaching in 2011. I dedicate a lot of my time to continuing my studies, often travel abroad to further my education. I am Certified Iyengar Yoga Teacher Intro I-II and am in the process of preparing for the next level of certification. 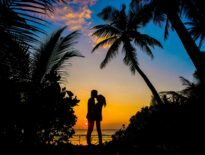 Island Effect Tell our readers a bit more about your philosophy and what makes teaching yoga so special to you. Lenka I like to feel we are creating a community where everyone can feel seen and supported as an individual, but we all share a common spirit of togetherness – we can rely on each other even outside yoga class. I strive to provide safe but challenging classes, with emphasis on individual attention and appropriate adjustment. I value my commitment to be dedicated and caring and provide consistency and reliability for my students. Island Effect What’s your schedule? Let’s let our readers know when they can come and try out your classes! Lenka My classes at Yoga St Lucia in Rodney Bay are Monday and Wednesday at 9:30-11am & 6-7:30pm, Saturday 10:45-12noon. At Thai Chi Lotus Garden in Petit Carenage, every Tuesday at 5:30-6:30pm, we practice at the open studio located in the middle of the gorgeous jungly garden, full of beautiful plants and trees. Island Effect Can anyone come? Should new students contact you first or can they just show up? Lenka Classes are open to beginners but also to more experienced practitioners. Saturday class is a class of destressing, restoration and relaxation. It’s not necessary to book in advance, but people are welcome to contact me. I’m happy to answer any questions about group or private sessions. Island Effect Sounds great! One last question – Tell us about your class prices. Do you have set fees per class or do you offer any monthly discounts and so on? Lucian Directions: Coming off the Castries Gros Islet highway, turn in between the two malls, walk or drive down past Scotia Bank all the way to the end and turn right onto Reduit Beach Avenue. Keep going and turn into the 1st road on the right just after East Caribbean Condos and where you see a sign for Harmony Suites. Walk about 100 metres further and you’ll see the entrance to Harmony Suites on your right. You should also see a sign for Kevala Studio. Walk through reception, past the shops on the right and turn right at the end. The studio entrance is tucked away on your right.